A service validation is a comprehensive examination meant to confirm that an existing, new or changed service performs as intended. However, when we talk about section 8.5.1 of the ISO 9001:2015 the difference between service/design validation and service/design verification can be confusing. Service/design validation processes, specifically, are quality control processes that demonstrate product/service consistency, quality, and durability. They ensure that the service/design does what it is intended to do. This aspect of quality management is particularly important in situations “where the resulting output cannot be verified by subsequent monitoring or measurement.” One example of where service/design validation is critical would be a welding process where the strength of each individual weld cannot be tested without damaging the product. These sort of real-world necessities create quite a bind; how do you test without testing? To resolve this, service providers need to create test environments where they can perform their service process, in spaces that duplicate the workspace and conditions where the service will be performed. Once the service environment is duplicated, the tests perform a full check on each step of the service, or creation of the product: You have to perform the service on a test platform, where each step of the service can be examined, measured, and evaluated. Service validation tests designed and carried out by the people who haven’t been involved in the design and development process. The criteria for passing/failing of a test should be documented in an SDP before any testing. Each test environment should be restored to its original state before starting a new test. A risk-based testing approach should be adopted to reduce the risk to the service or product. This means stress testing until failure, in order to record and report failure thresholds. Service validation and testing need to create, catalog and maintain a library of test models, cases, and data which can be re-used. This is important for being able to re-perform service/product validation during the service lifetime. The creation of a quality management system that ensures consistency across all platform and personnel, in order to ensure test conditions can be adequately recreated. Service validation and testing ensures that the service or product delivers the expected outcomes for the customer. In addition to controlling quality, service validation testing provides opportunities to identify ways in which services and products can be improved, and efficiencies can be found. For more information on how Accupoint Software can help your business create and control service/product validation processes, please contact us today. Corrective and preventive actions are important parts of a quality management system (QMS) , but sometimes it can be difficult to tell these two processes apart. A corrective action deals with a nonconformity that has occurred, and a preventive action addresses the potential for a nonconformity to occur. Section 8.5.2 of the ISO 9000 standard says corrective action eliminates the cause of nonconformities to prevent recurrence, and section 8.5.3 says preventive action determines and eliminates the causes of potential nonconformities to prevent occurrence. In a nutshell, one deals with what has happened and the other attempts to stop something from happening. Many auditors recommend using separate procedures and forms to document each type of action. The standard doesn’t say this must be done, but there is a heavy implication that it should be done. Locate and document the root cause of the nonconformity. Analyze the effect the nonconformity may have had on a product or service before it was discovered. Which may require taking action by either recalling the product, notifying the customer, downgrading or scrapping product. Establish thorough follow-up to ensure the correction is effective and recurrence has been prevented. Take proactive steps to detect a potential nonconformity before it can occur. Use system analysis to create built-in safeguards and process changes to prevent nonconformance. Example, use of a failure mode and risk analysis to identify potential deficiencies and create priorities for improvement. Both corrective and preventive actions require effective communications. In addition, both require clear documentation of actions taken and lessons learned. Documenting, controlling and communicating corrective and preventive actions ensure appropriate action is taken within a reasonable timeframe and the resulting changes are effective. 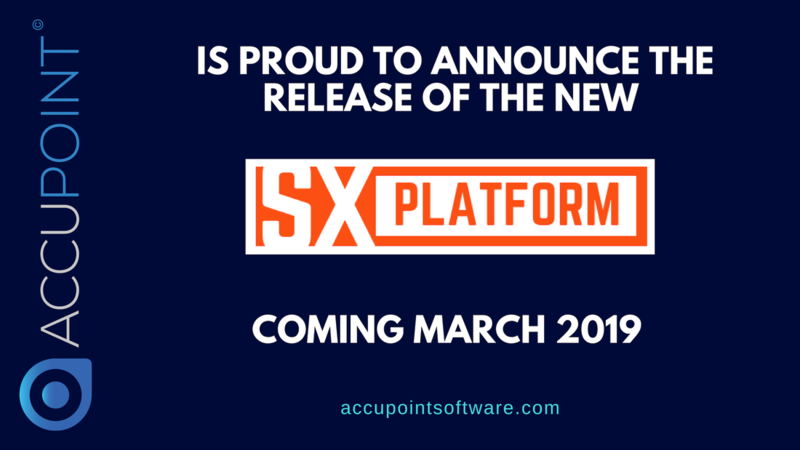 ​For more information on how Accupoint Software can help your organization manage the corrective and preventative action process, please contact us today. When it comes to ensuring the safe handling of potentially dangerous chemicals, communication is critical. Because of this, OSHA's Hazard Communication Standard (HCS) requires that any chemical manufacturer, distributor, or importer provide Safety Data Sheets (SDS) to communicate these hazards (OSHA, 29 CFR 1910.1200(g)). SDSs are designed to be user-friendly and must communicate the properties of each chemical product, including: the physical, health, and environmental hazards; protective measures; and safety precautions for handling, storing and transporting the chemical. Employers are required to ensure that SDSs are readily accessible to employees for all hazardous chemicals in their workplace. Furthermore, employees must have immediate access to the information within their work area, as well as access to SDS backups in the case of power outage or emergencies. Meeting these requirements can be cumbersome and time consuming. As a result, many organizations are turning to compliance management solutions to help meet the standards. For instance, employees can quickly access digital SDS’s using mobile devices at point of operation, while management can use software to universally update all SDSs as information changes. Quick access to safety information makes all the difference in the handling, transportation, storage, and manufacture of the applicable chemical. In addition, inventory management is also important, as chemical quantities are constantly changing, and on-hand quantities can drastically impact hazards and the prevention procedures necessary. The process of identifying chemicals present in the workplace requires advanced processes to ensure that information is available to stakeholders and is updated in real time. In today’s global operating environment, an SDS management solution is critical to guarantee compliance to multiple regulatory and legal requirements. For more information on how Accupoint Software can help you manage your Safety Data Sheet program, please contact us today. For consumers, product purchase verification is simple. It means opening a package or trying a product to see that what you paid for is what you get. For businesses, the process is much different. Product purchase verification is actually serious business that requires full-time professionals with engineering degrees. The concept is important to consider both for compliance and professional reasons. The most important component of purchased product verification is actually certifying that the product was delivered. Even a medium sized company has many good coming and going across different warehouses and locations. It is impossible for one person to physically verify every delivery. For that reason, logging every delivery in an accounting or compliance system is crucial. After the delivery is logged, it can be tracked and utilized for production or distribution. Product purchase verification also sets off the accounts payable timeline. The next most important factor is that the product delivered meets the quality standard expected. Products that have a chemical composition such as LNG, diesel or heating oil require an engineer or chemist to verify that the product is correct. They then log the information into a software or compliance management solution to confirm the quality information. Lastly, product purchase verification is crucial for safety. The delivered product should be stored and contained in a package that prevents it from harming workers. Additionally, it should not be placed next to any other material that could produce a strong combustible reaction. Again, professional engineers or compliance professionals must work on this process to assure nobody is injured. They log information into an online system and carefully monitor the placement of all products. Accupoint Software is a leading provider of compliance management tools for the petroleum industry. For more information on solutions to manage purchased product verification, please contact us today.